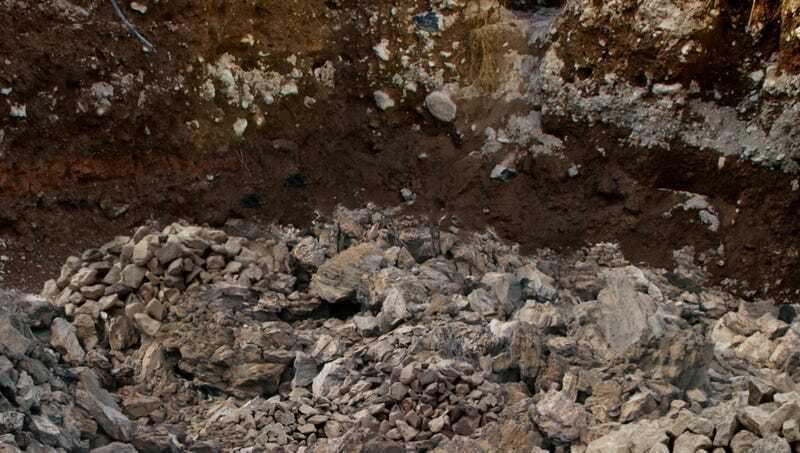 FREMONT COUNTY, CO—Retching in disgust as their excavation revealed the chilling extent of the burial site, geologists from the University of Colorado were reportedly horrified Thursday after uncovering millions of rocks in a sprawling mass grave. “My God, what kind of monster would do something like this?” said lead researcher Charles Watras, wiping a tear from his eye as he surveyed the layers of bleached-white stones spreading out in every direction. “We can only imagine what sort of atrocities were committed here. Certainly, whoever did this had no respect for the basic dignity of rocks. Christ, some of them were only pebbles.” At press time, all the color had drained from Watras’ face after coming across a specimen so mangled and disfigured it was barely recognizable as a boulder.